Hirohito was the 124th emperor of Japan. He reigned during a period of internal unrest, foreign expansion, international war, and national defeat. As the occupant of Japan's throne for sixty-three years, he was the longest living ruler in modern history. Hirohito was born on April 29, 1901. He was the first son of Crown Prince Yoshihito, who later became the Taisho emperor, and the grandson of Mutsuhito, the Meiji emperor. Following long-established custom, Hirohito was separated from his parents shortly after birth. He was cared for by a vice admiral in the imperial (of the empire) navy until November 1904, when he returned to the Akasaka Palace, his parents' official residence. Even after his return to the palace, he was only allowed to see his mother once a week and hardly ever spent time with his father. From early on, Hirohito was trained to act with the dignity, reserve, and sense of responsibility his future role would require and he grew into a shy and serious young boy. In April 1908 he was enrolled at the Gakushuin (Peers School) in a special class of twelve boys. The head of the school was General Maresuke Nogi, a celebrated soldier of the Russo-Japanese War (1904–05; a conflict with Russia over Manchuria and Korea). He took a personal interest in the education of the young prince and attempted to introduce him to respect the virtues of hard work, the importance of devotion to the nation, and the practice of stoicism (the ability to ignore pleasure or pain). In 1912 Mutsishito died and paved the way for Hirohito's father Yoshihito to take the throne. Hirohito then began an intense study of natural history. Under the guidance of his natural history tutor, he developed an interest in marine biology, a field in which he became an acknowledged expert. On February 4, 1918, Hirohito became engaged to Princess Nagako, daughter of Prince Kuniyoshi Kuninomiya. The imperial wedding finally took place on January 26, 1924. The imperial couple later had five daughters, the first born in December 1926, and two sons, the first born in December 1933. In March 1921 Hirohito, accompanied by a large group of attendants, set off for a tour of Europe. Never before had a crown prince of Japan visited countries abroad. Although Hirohito traveled in France, the Netherlands, and Italy, his visit to England made the deepest impression on him. He was attracted by the freedom and informality (without ceremony) of the English royal family. On November 25, 1921, shortly after his return to Japan, Hirohito was appointed to serve as regent (acting ruler) for his father, who had begun to show increasing signs of mental instability. In December 1923 Hirohito escaped an attempt on his life by a young radical. Hirohito took the throne on December 25, 1926. He took as his reign name Showa ("Enlightened Peace"), and he was formally known as Showa Tenno. However, the choice of reign name would not hold true. Shortly after Hirohito became emperor, Japan's relations with the outside world began to fall apart. In 1927 Japanese army officers, without the agreement of Emperor Hirohito, sparked conflict with Manchuria and later occupied parts of that country. Hirohito soon found his military deeply involved on the Asian mainland. The Manchurian incident ushered in a period of serious unrest within Japan. Young military officers plotted a series of unsuccessful takeovers as well as a number of successful assassinations (secretly planned murders). They hoped to overthrow parts of the government in order to establish a military regime that could govern in the name of "direct imperial rule." In other words, Hirohito would still be called emperor and would be the head of the government, but the military would actually be in control. Hirohito, however, saw himself as part of the state rather than a sole ruler and believed that the leaders of government should be men of moderation and nonmilitaristic in outlook. During the military revolt of February 26, 1936, elements of the First Division occupied large areas of downtown Tokyo, and assassination bands murdered many leading public officials. Emperor Hirohito urged swift end to the revolt and punished those involved. The uprising was crushed, and a number of ranking generals who were thought to have encouraged the rebels were forced into retirement. Nevertheless the country continued to drift toward war. In July 1937 hostilities with China broke out. During the late 1930s Hirohito's advisers in the palace urged him to stay away from direct involvement in politics or be forced to compromise the position of the imperial family. The emperor followed this advice, and agreed to whatever policies the governments decided upon. There is every evidence that the emperor felt uneasy about the unfolding of events, particularly after 1940. He did not favor the alliance with Germany and Italy in World War II (1939–45), but he made no effort to oppose it. Similarly, he had grown distrustful of the judgments of the military leaders who kept assuring him of a quick end to the war in China. But when the final decision on war with the United States was made on September 6, 1941, he barely opposed it. During the war Hirohito refused to leave the imperial palace at Tokyo, even after air raids began to demolish the city and fires destroyed many buildings on the palace grounds. He wished to share the hardships of his subjects. By the summer of 1945 it was clear that defeat was at hand. But the decision to surrender did not come until after atomic bombs were dropped on the Japanese towns of Hiroshima and Nagasaki. At a historic imperial conference on August 9, 1945, the emperor made clear his opinion in favor of surrendering to the allied powers led by the United States. Following Japan's formal surrender in September 1945, there was much discussion about whether Emperor Hirohito should be punished as a war criminal. Hirohito himself frequently expressed his willingness to step down as a token of his responsibility for the war. But the U.S. authorities, including General Douglas MacArthur (1880–1964), decided that it would better serve the goals of Japanese stability to let him remain as ruler. On January 1, 1946, however, the emperor once and for all gave up any claims to being a sacred ruler by issuing a law that denied his god-like status as a descendant of the sun goddess. During the years of the occupation and afterward, every effort was made to "democratize" the throne by having the emperor mingle with the people. Even though he was personally distant and somewhat awkward in public, the emperor nevertheless became a popular figure. Pictures of the imperial family and stories of their activities became a steady part of weekly magazine and newspaper copy. A respected marine biologist with a number of books on that subject to his credit, Emperor Hirohito lived a modest, sober, and retired life when not involved in official functions. In 1972 he traveled to Europe and was met with hostile demonstrations. A 1975 trip to the United States resulted in a more friendly reception. 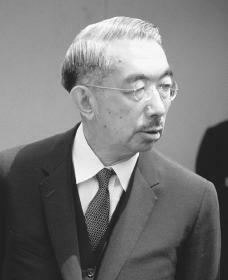 Hirohito died on January 7, 1989, at the age of eighty-seven. Symbolic of his interest in science and in modernizing his country, Hirohito reportedly was buried with his microscope and a Mickey Mouse watch. Bix, Herbert P. Hirohito and the Making of Modern Japan. New York: HarperCollins, 2000. Hoyt, Edwin Palmer. Hirohito: The Emperor and the Man. New York: Praeger, 1992. Large, Stephen S. Emperors of the Rising Sun: Three Biographies. New York: Kodansha International, 1997. Mosley, Leonard. Hirohito, Emperor of Japan. Englewood Cliffs, NJ: Prentice-Hall, 1966. Severns, Karen. Hirohito. New York: Chelsea House, 1988. This article very good information best and contributes school good.